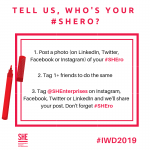 Click here for your blank #SHEro sign! 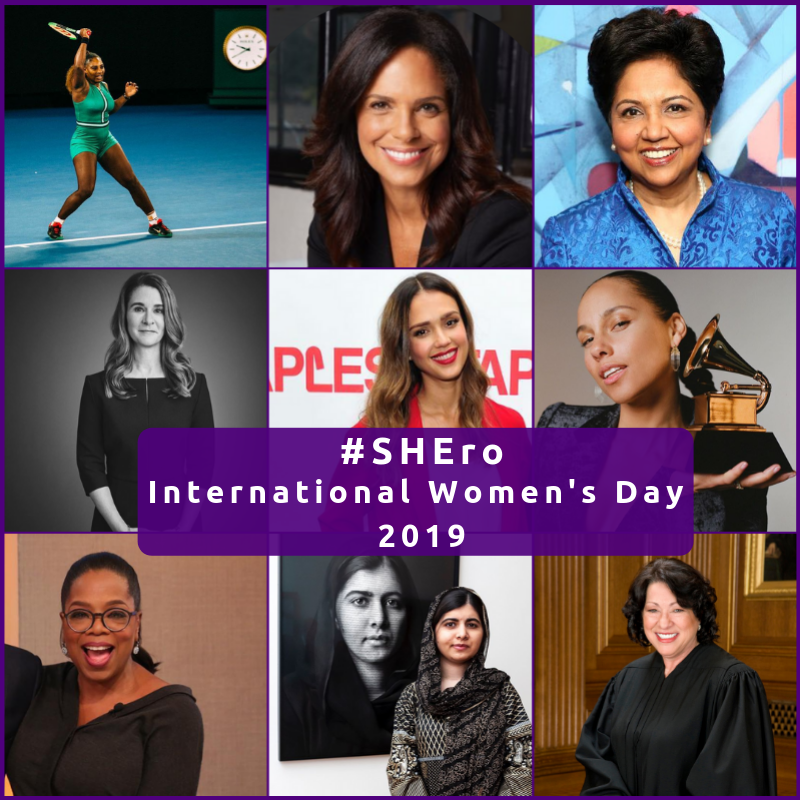 International Women’s Day is Friday, March 8th! 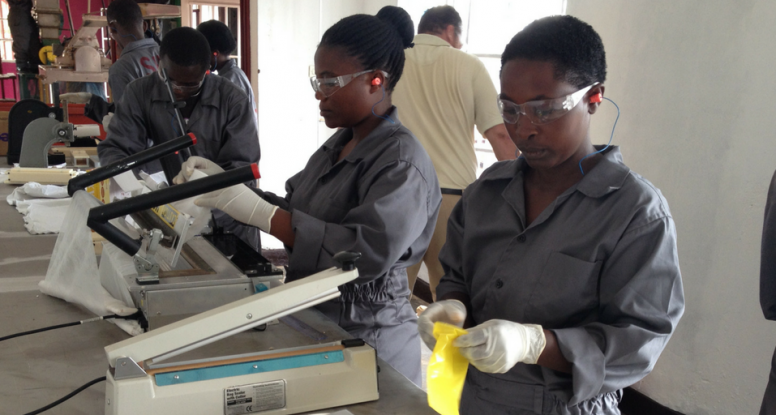 Did you know that drones are now delivering blood and medical supplies to hospitals in Rwanda? While we haven’t mastered aerial distribution of go! pads, we’ve got some accomplishments that we think are a big deal. We’ve reached over a million people to date through education and advocacy, our go! 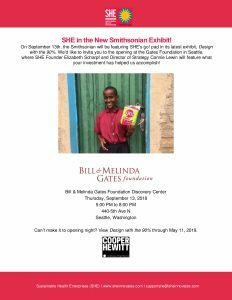 pads are currently featured in the latest Smithsonian exhibit at the Gates Foundation, and we’re working with refugee camps in Rwanda to improve girls’ and women’s menstrual hygiene. 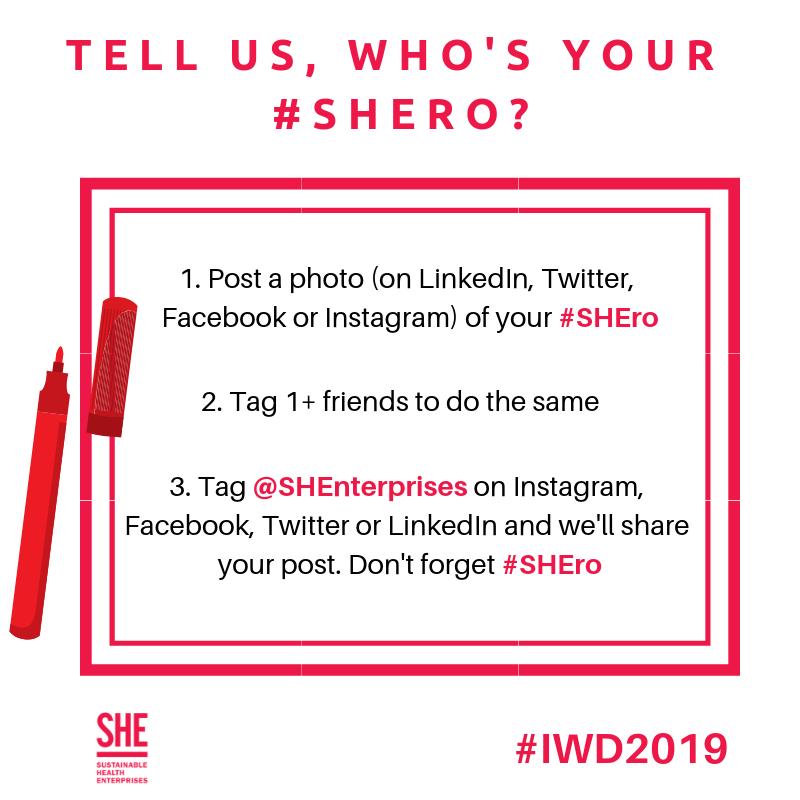 Our productivity this quarter is thanks to SHEroes like you who support our mission! We make go! 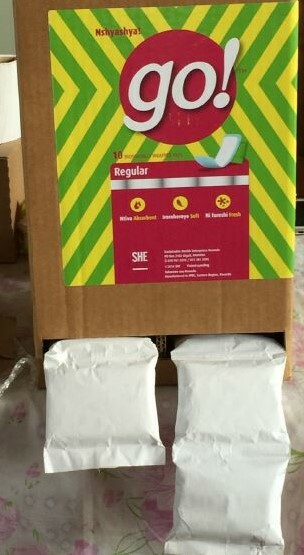 pads for girls so they should be designed by girls, right? Earlier this year we started a new go! 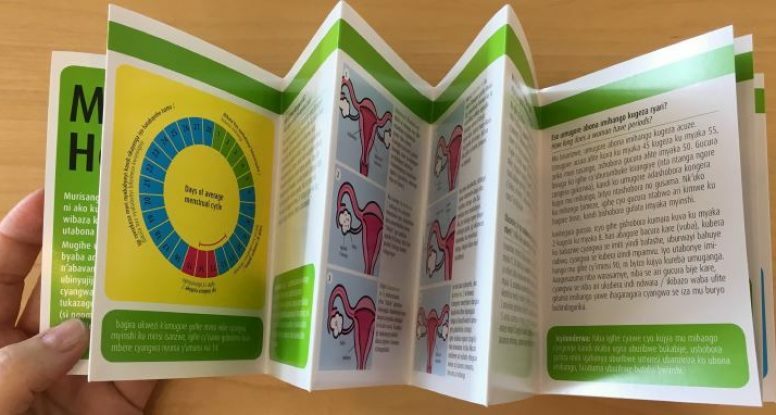 pad packaging pilot supported by Johnson & Johnson’s Sustainability team to get girls’ feedback on the pad’s size, educational brochures, sales appeal, and overall look. 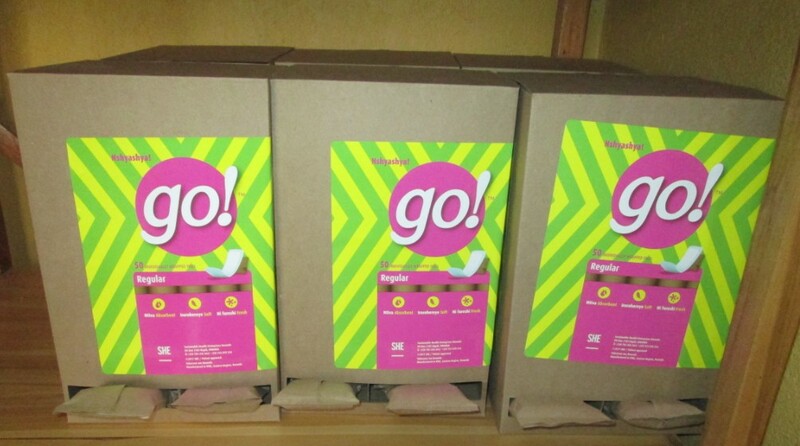 Girls shared that they like the discrete brown paper backing of the go! pads, how easily they fit inside of pockets, and being able to purchase a 3-pack of pads if they can’t afford a whole pack. 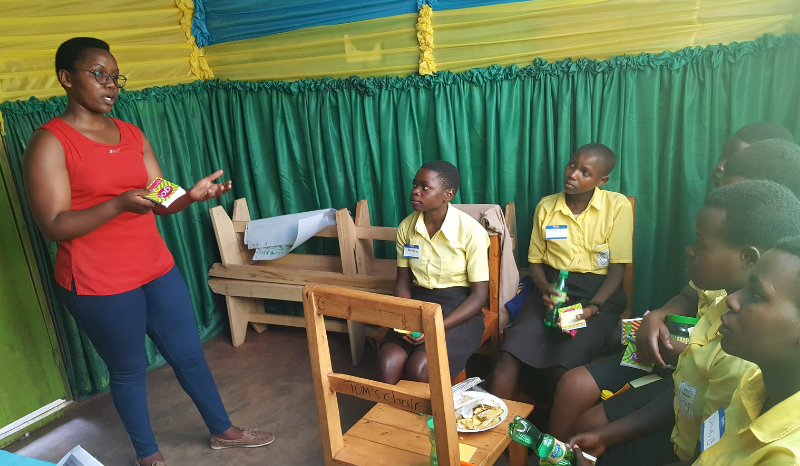 We’re wrapping up our pilot program to finalize any changes and making sure that girls have a say in the design of their menstrual pads. Stay tuned! What’s the Real Price of Periods? 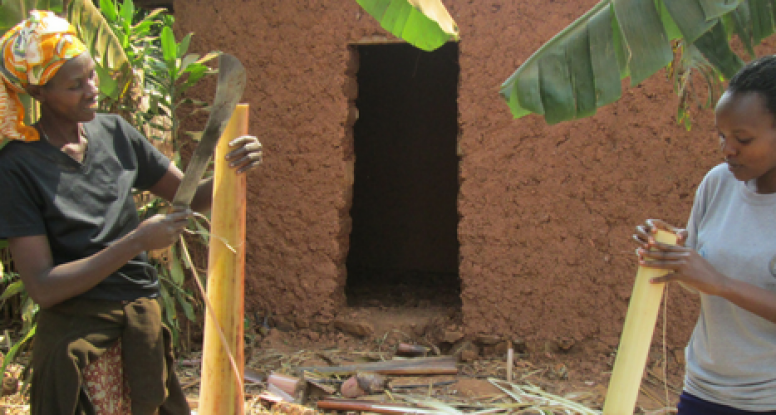 In 2009, we calculated the cost of periods to be a GDP loss of $115 million in Rwanda from women missing work. 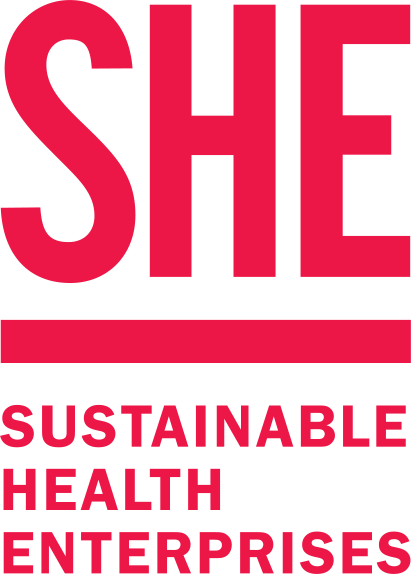 SHE28 is our solution to the global period poverty issue and we’ve already tested the waters on expansion in Zimbabwe. 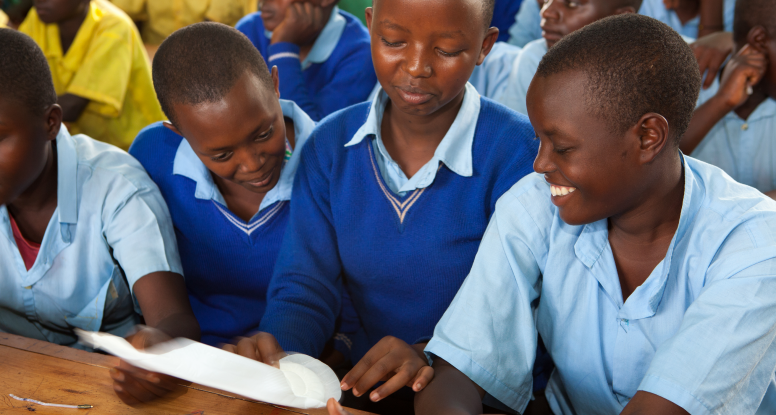 CNN’s latest article, When pads are a luxury, getting your period means missing out on life, reports on period poverty’s impact on school girls and working women in Tanzania. 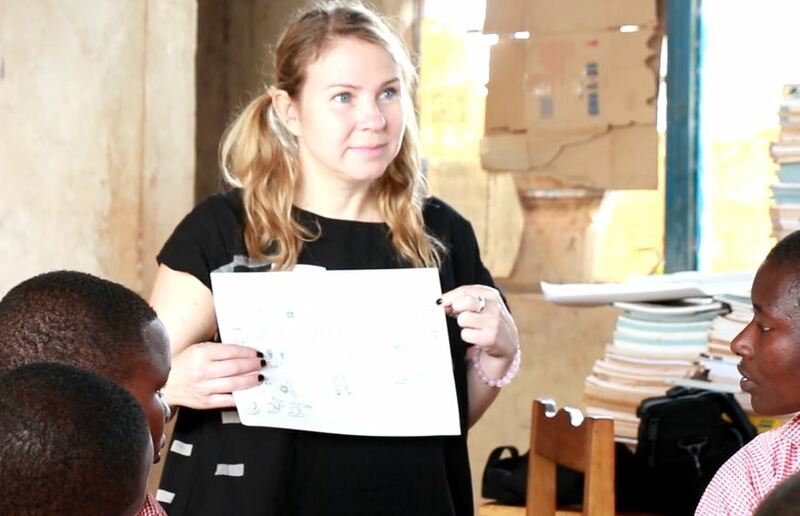 Read what SHE CEO and Founder Elizabeth Scharpf had to say about the issue in the article. If you’ve never thought about missing out on daily activities due to your period, use CNN’s period poverty calculator to find out. See pictures from the opening celebration on our Facebook page! We’ve made 520,698 go! pads to date and we’re not stopping there! To keep the momentum going, we traveled to Zimbabwe in May to explore how we could turn what’s typically seen as plant waste into go! pads. We conducted initial fiber testing led by our very own engineer and Technical Director, Leah! 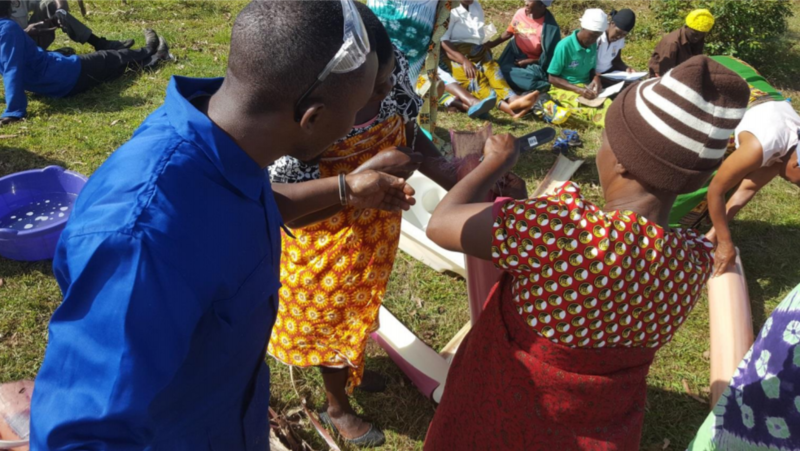 To kick off day one, we met with twenty-nine eager women farmers at the beautiful Magadzire Centre site to test out some new fibers. The farmers made sure to wear goggles to prepare for the messy extraction process ahead. 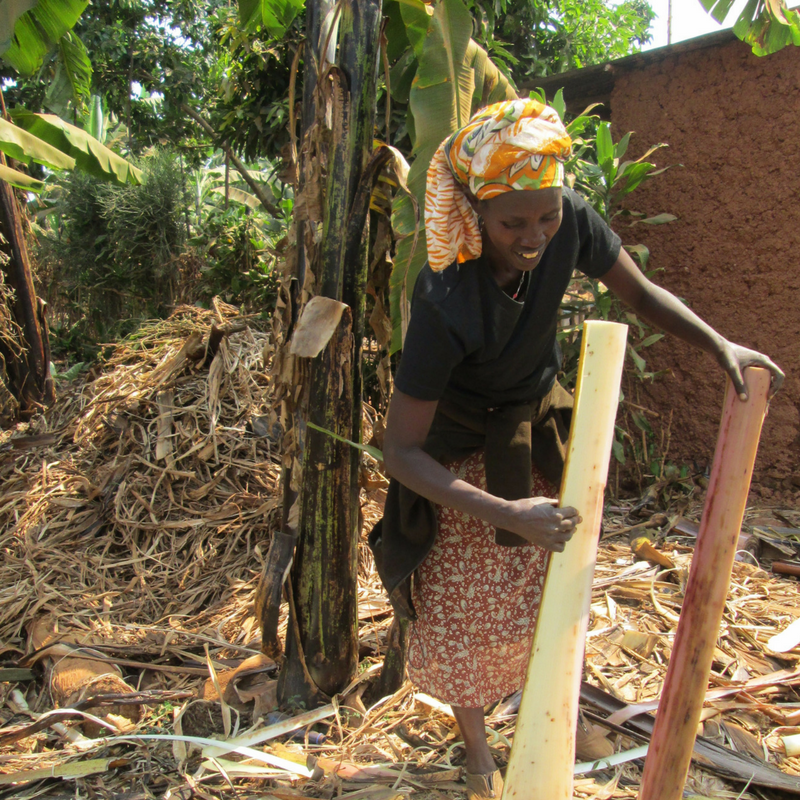 We realized that unlike banana plants in Rwanda, Zimbabwean banana plants are full of water. This means that these varieties can be left out for up to two weeks before extraction. 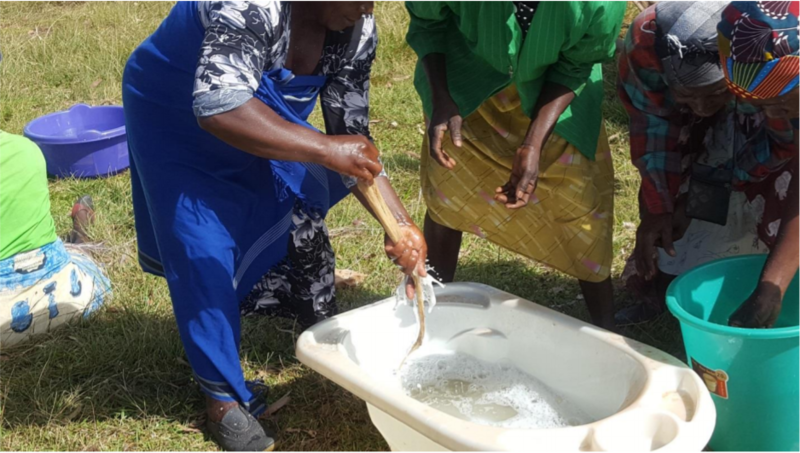 Immediately after extracting the fibers from the banana stems, they were placed in water to prevent discoloration. We then hung them out on a line and later stored them in dry place called a hozi, the word for storage room in the Shona language. On the second day, our group of farmers grew by ten. They even brought with them five different banana plant varieties that we successful extracted fibers from. Stay tuned to find out if these new fibers will be suitable for go! pads! 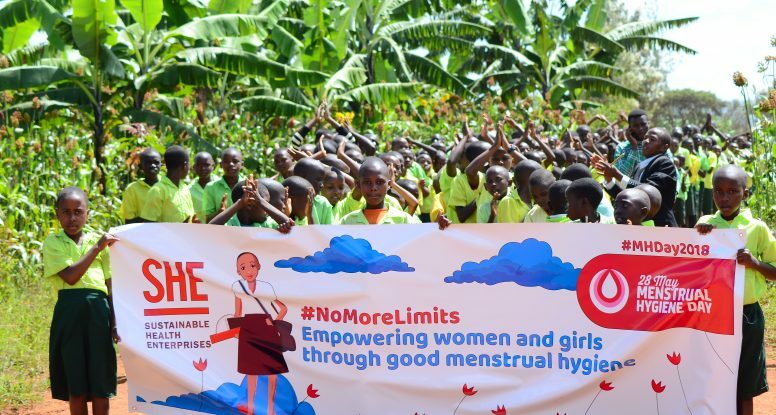 SHE celebrates Menstrual Hygiene Day every May 28th, and this year we held our biggest celebration yet. 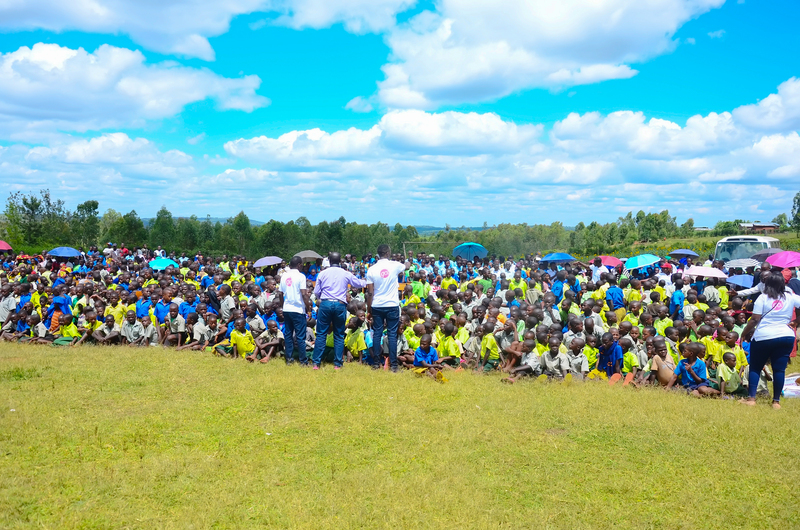 Boys, girls, and their parents took a spot on the field to learn and break the silence around menstruation. 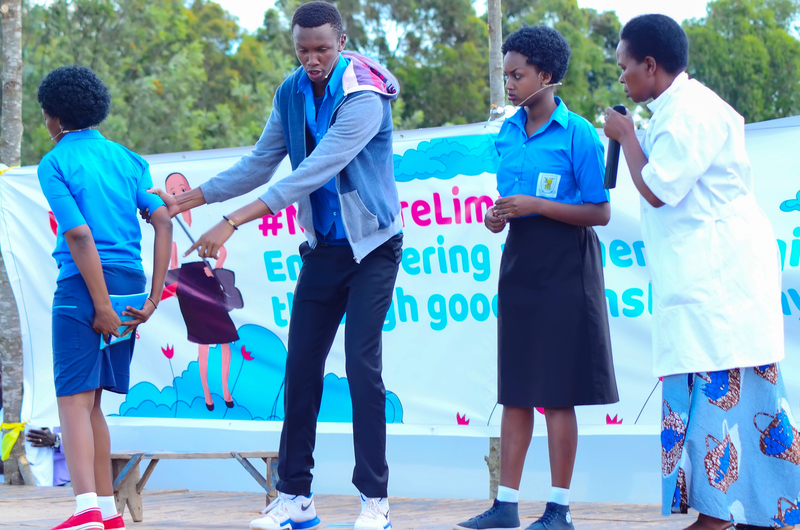 Schools competed to put on the best menstrual hygiene drama skit in the hopes of winning money to improve their school’s girls room. 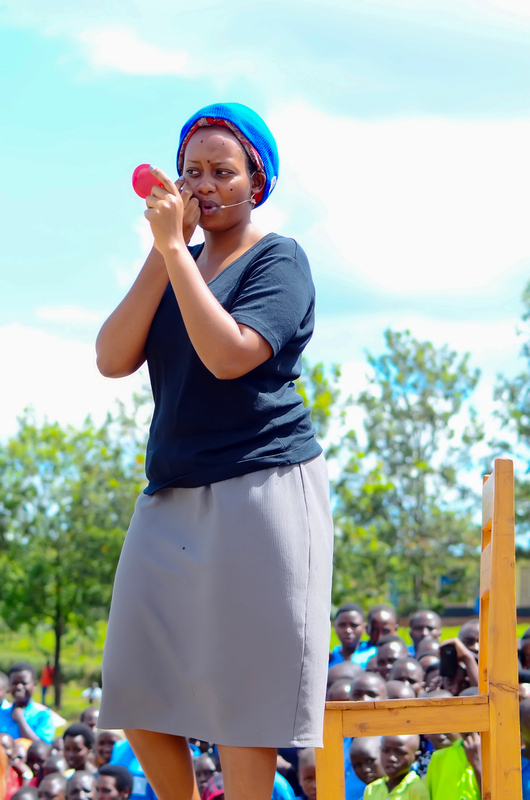 Miss Rwanda 2018 graced the stage to announce the winners of the competition and encourage girls to not shy away from asking questions about their periods. 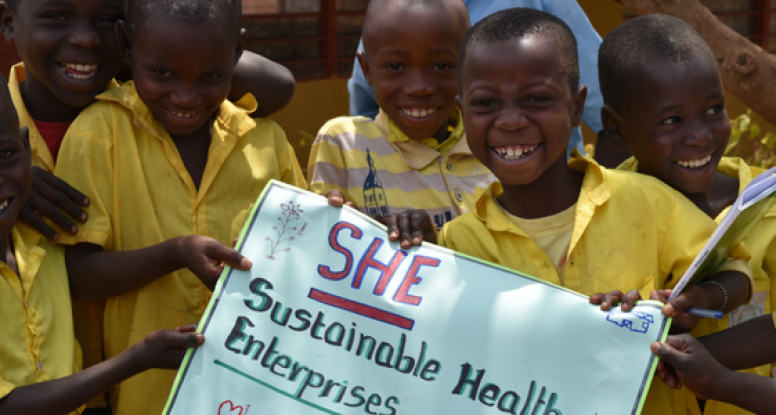 11,500 people participated in SHE educational events for Menstrual Hygiene Day, with 4,000 gathering to celebrate on the day itself. 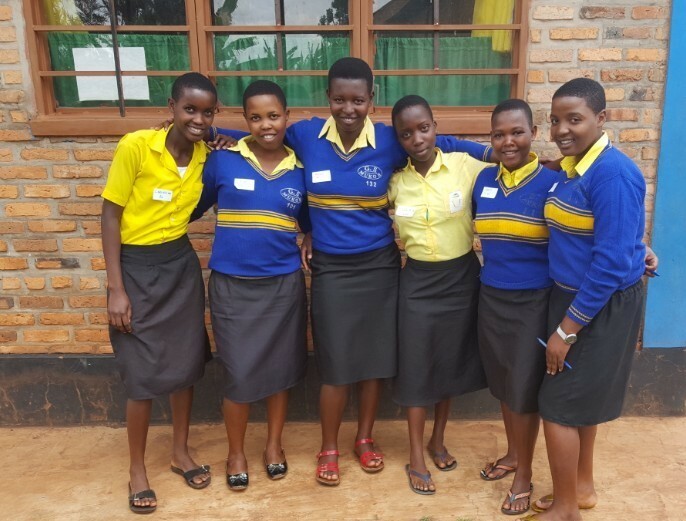 The Ministry of Education was present to support SHE Rwanda’s work in improving girls’ education. 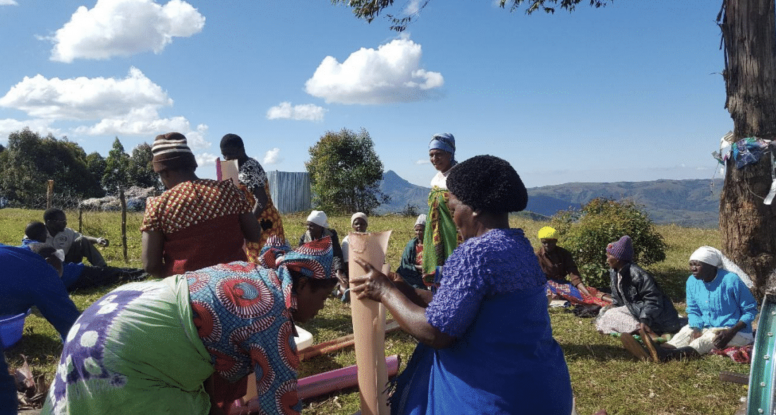 Thanks to coverage from Radio Rwanda, our message traveled across the country, reaching 90% of the population of Rwanda.